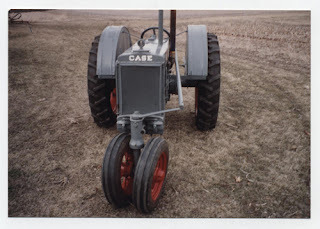 I am in the process of gathering tractor stories for a book. 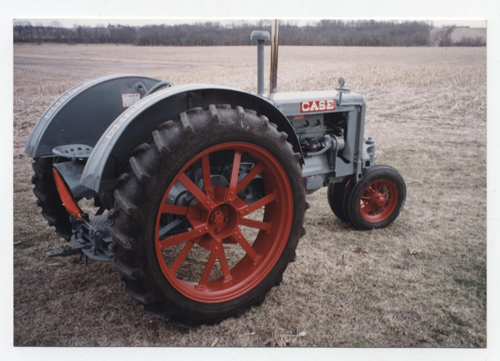 If you have a photo of your tractor and a story send it to Becky@TerpCreek.com . Here is one of the stories I have received. Clifford A. Bump purchased this "CC" Case new in 1930. Before the "CC" my maternal grandfather farmed with a team of horses. This tractor was his one and only tractor. It is thought to be the first "CC" sold in Fulton County, Illinois. Grandpa did a lot of custom farming in and around his farm in Joshua Township. The "CC" was purchased at Heller Case in Norris, Illinois. 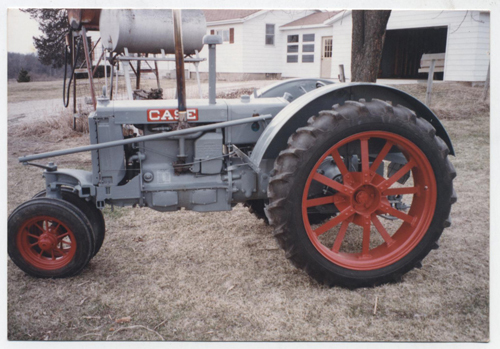 It originally was on steel wheels, Grandpa Bump converted this to rubber tires after WWII. The tractor is completely original except for the tires and the magneto. The magneto was changed to a Fairbanks Morse purchased at Harvey Brothers Electric, Galesburg, Illinois. This tractor was given to my brother James E. Taylor and myself Richard A. Tayor in the fall of 1975. We started restoration in the summer of 1991. My father Richard J. Taylor painted it and as you can see did an awesome job, "Thanks Dad". At the Knox County Scenic Drive, The Spoon River Antique Tractor Association had a tractor display. They had a dynamometer there. When we hooked the old Case to it, it showed 39 horsepower, pretty good considering we did not touch the motor. "Thanks to Grandpa Bump", it looks pretty good for an 81 year old tractor. This tractor was used on his farm until 1975 when it was given to James and myself. When the Case Collectors Club had its annual meeting in Galesburg at the old Holiday Inn, they asked me to bring the old "CC". This was the National Meeting in 1994. I was asked if I wanted to sell it. The answer was "NO" of course. Story submitted by Richard Taylor.